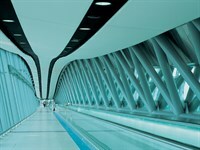 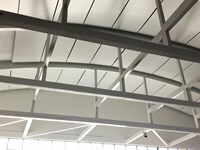 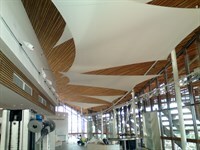 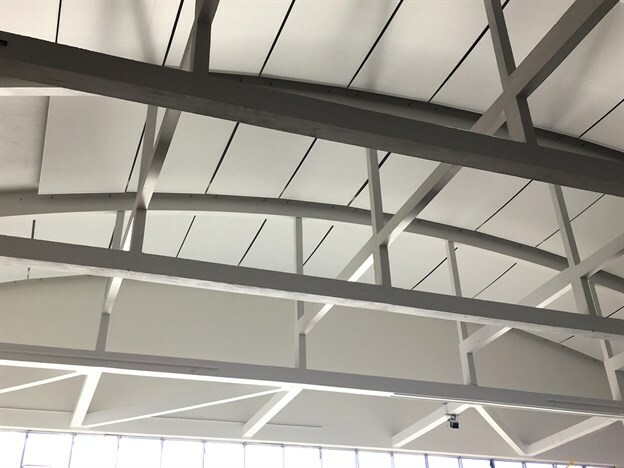 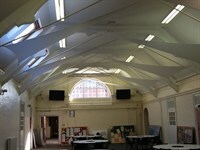 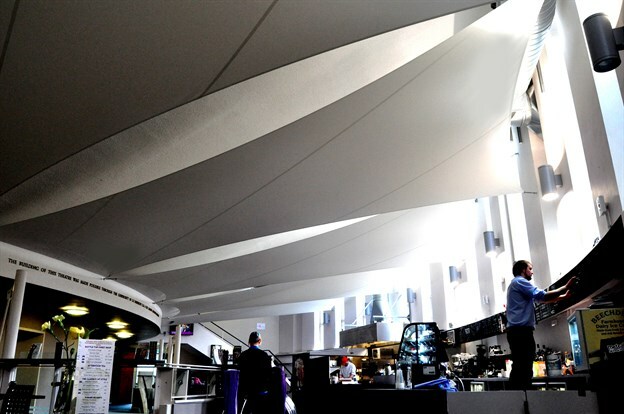 TensileFabric can help to improve acoustically poor interior spaces with fabric structures. Problematic acoustics often arise because of the demand for clean lines and low maintenance spaces. 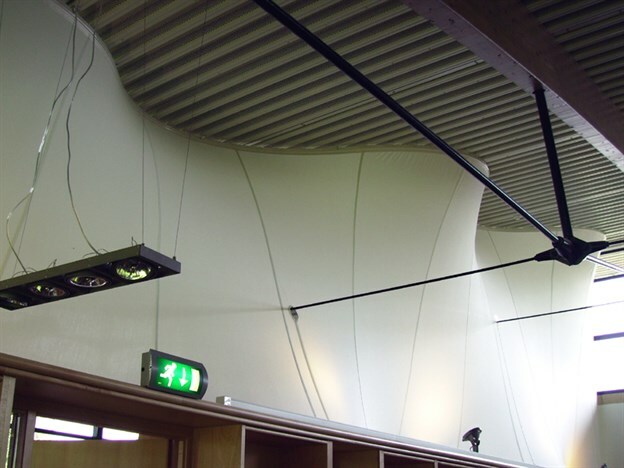 These hard-surface spaces, found in schools, airports, restaurants and so on, are often not acoustically absorbent. 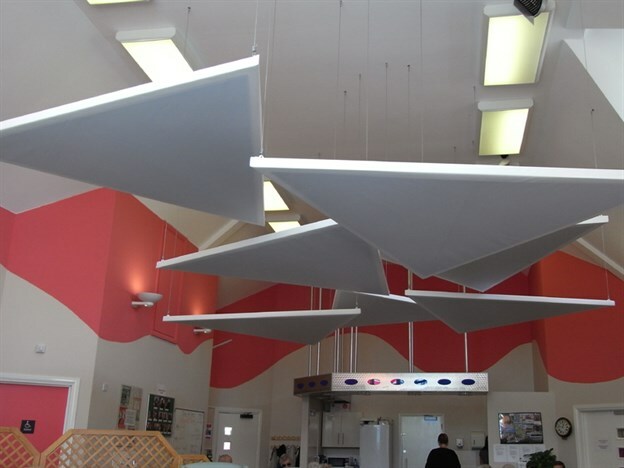 Sound therefore reflects and reverberates around internally, increasing perceptible sound levels and decreasing the acoustic comfort of the space. 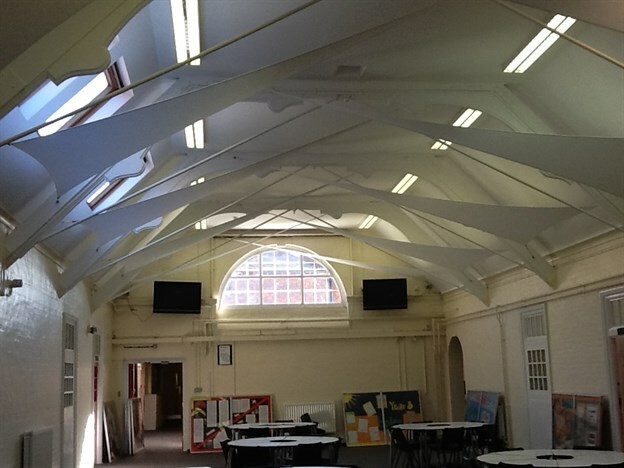 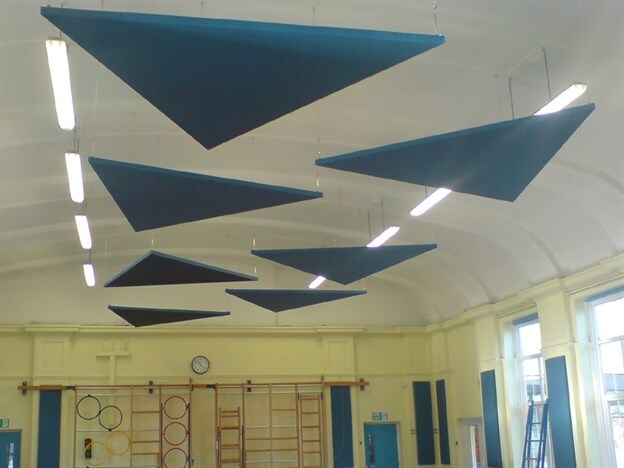 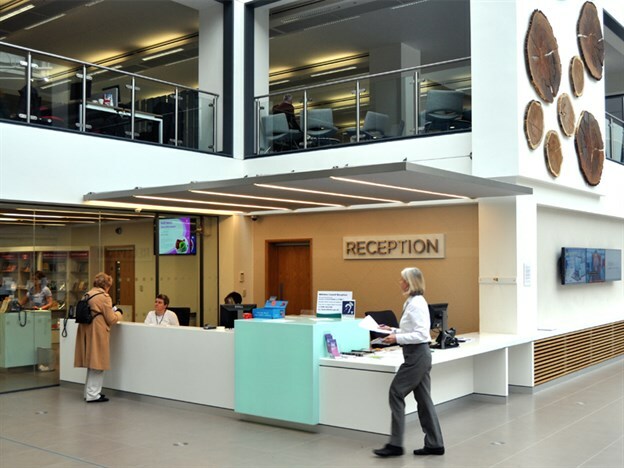 Our structures and canopies can be made from acoustically absorbent fabrics and materials – helping to absorb sounds and make the space more pleasant to be in. 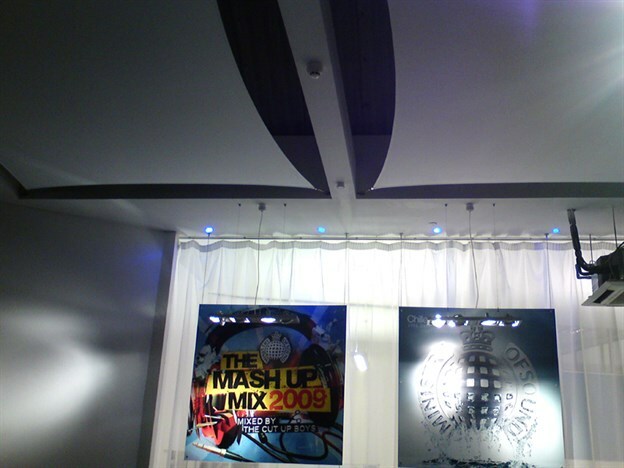 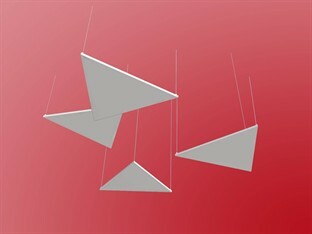 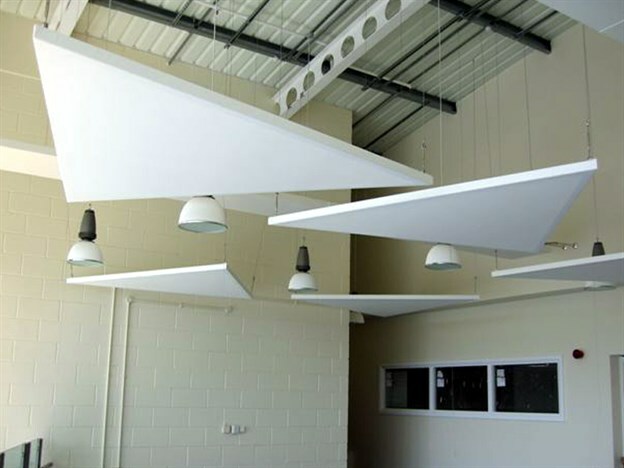 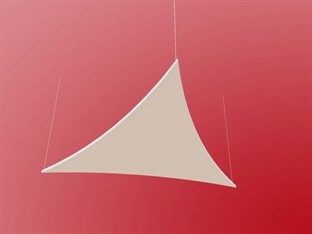 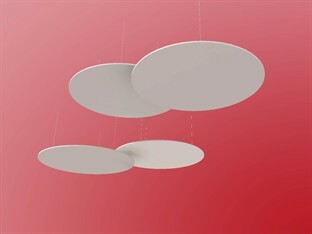 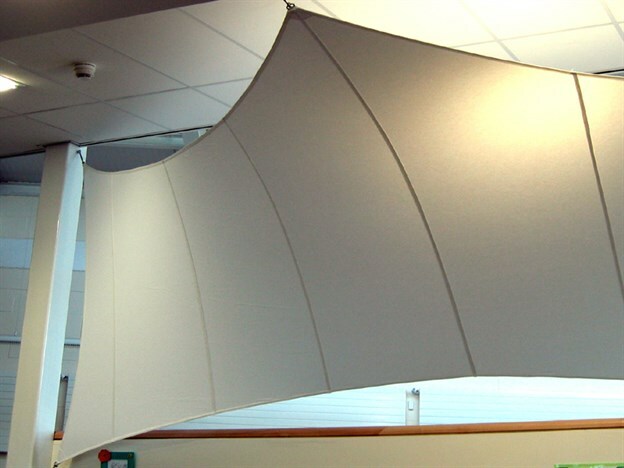 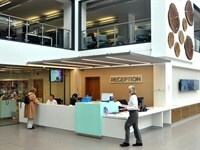 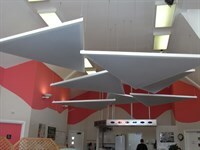 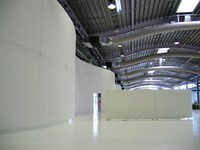 Our acoustic structures are lightweight and modern in appearance. As well as the acoustic benefits they offer, they are also aesthetically interesting and can create a unique form in your setting, and can be designed to suit your individual space.